Hello Allen Park residents! We are Drs. Greg & Joanne Szalai. Our dental practice, Szalai & Szalai DDS, has been serving the Dearborn, Detroit and Allen Park area since 1987. Many of our new dental patients from the Allen Park area ask us about cosmetic dentistry procedures such as teeth whitening, smile makeovers and dental implants. We would love to answer your questions about these procedures as well as our other dental services. 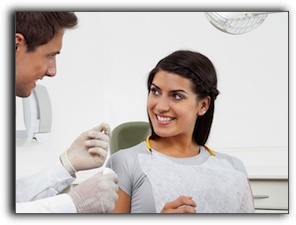 The dental health of my patients is my top priority, and if you are in the Allen Park area and are in need of quality dental care, please call Szalai & Szalai DDS at 313-928-2323 or visit us on the web at https://www.allenparkdentists.com/about-us/. Thank you for visiting the Allen Park dental blog and for taking the time to learn more about our dental practice, Szalai & Szalai DDS. Call today to schedule an appointment. Is Your Bite Getting You Down Allen Park?